Just a quick note, this review contains as fewer spoilers as possible without erm, spoiling the content of the review. So fret not. 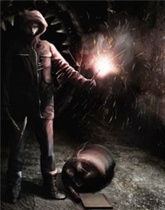 Penumbra: Overture is a first person survival horror adventure game and is the first instalment of what was originally a planned trilogy. After this initial episode the series was reduced to two games, with Black Plague being the sequel. An expansion was later released called Requiem. The game begins with a hand typed passage addressed to you from the player character, Philip, from some unknown point in the future. In the passage he reveals the disappearance of his father before he was born, the death of his mother, a mysterious letter, and the hope that he will be dead by the time you read his words. It’s hopeless, chilling, and sets the tone for the rest of the game. Shortly afterwards the introduction video starts with the passing of Philip’s mother and the delivery of the aforementioned mysterious letter. The letter is from Philip’s father, Howard, who was officially declared dead some 30 years ago. In it Philip is made aware of some documents formerly belonging to his father that he now owns. He is told explicitly to burn them, but in true horror fashion Philip’s curiosity gets the better of him and the documents reveal a location in deep uninhabited Northern Greenland. Philip, curious about the circumstances of his father’s disappearance, books ‘the last flight he will ever take’ there. Shortly after arriving, your journey into darkness begins. 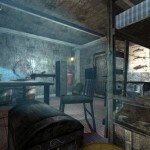 Unlike other first person adventures (such as Barrow Hill, Scratches, Dark Fall etc.) where movement is restricted to single images in a non-linear slideshow fashion, Overture features a 3D world which allows full control over Philip’s movement and many of the objects found within the environments, thanks to a robust physics engine. 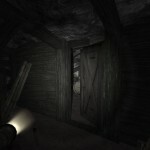 As mentioned earlier, Overture is a survival horror as well and lets be honest, if there wasn’t a risk of dying there’d be no element of survival and to a certain extent a lesser degree of horror; so there are action sequences which I know are usually frowned upon by adventure purists, but without them Overture wouldn’t be quite the same. There are a couple of moments where the margin for error is a tad severe to the detriment of the overall experience but thankfully they’re short lived. The gameplay is predominantly made up of physics and inventory based puzzles, most of which are naturalistic and relatively easy. Should you find yourself in a rut, most of the environments and objects can be examined to gain subtle hints and other information relating to the current area. Philip also keeps a handy ‘to do’ list in his notebook so you’ll rarely lose track of what’s going on. A minor portion of Overture is spent evading or engaging enemies, and while they’re not particularly abundant, the game does give you a number of ways to dispatch, distract or trap them. Engagement is a risky affair because Philip is poorly equipped at best which leads to a debilitating sense of vulnerability. In certain areas there are environmental opportunities to trap, and in some cases kill enemies, but these take some initiative and patience to use effectively. Evasion is helped by a solid stealth system that allows you to hide in the shadows by crouching. If you crouch for a moment your vision will increase as your eyes adjust to the darkness, encouraging a slower and more considered pace of play. Conversely, if you stare at an enemy for too long, Philip will panic and reveal his position. Unfortunately, certain enemies have quite predictable paths so don’t really necessitate you tracking them constantly. If these particular enemies were free roaming or had longer and more complex paths, leading to ambiguity over their wheareabouts, then perhaps the panic system would have been put to better use. Additionally, enemies don’t respawn in Overture. This can be both a blessing and a curse because, while enemies can prove an impeding irritation as you move about the various locations solving puzzles, once they’re killed, they’re gone. You feel safer, you feel empowered and it somewhat undermines the vulnerability underpinning the tension of the experience. System Shock 2 was ceaselessly unnerving because it employed both slow respawning enemies and relatively unpredictable paths so you couldn’t relax and get complacent. However, as mentioned, this is a minor portion of the game. On its release I remember Overture receiving generally favourable reviews with a few stinkers spoiling the show. 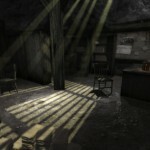 The game was praised for its intense atmosphere and received criticism for its apparently dull environments, underwhelming engine, clunky controls and hackneyed plot. So while we’re here, lets address those criticisms. The environments are dull. They’re desolate, they’re stark, they’re cold and industrial and bleak and rusty, and well, all those other seemingly negative descriptive words. They’re exactly as they should be and Overture‘s native HPL engine handles the proceedings with aplomb. Attention has been lavished upon the lighting throughout from the warm glow of a paraffin lamp to sulphuric beams of light burning through a grill; it never fails to impress. The solid physics give a tangible and weighty clunk to objects making the many physics puzzles convincing and satisfying. 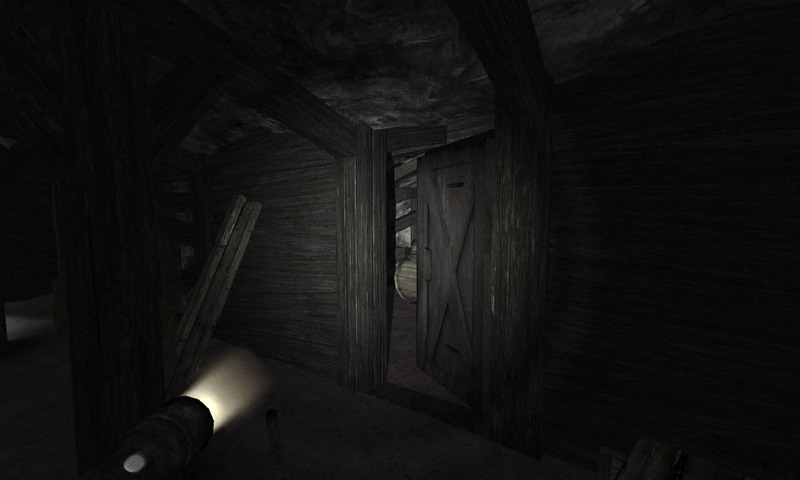 Something that you’ll notice straight away is the way in which Overture allows you to ‘grab’ objects. For instance, to open and close a draw you have to grab it and move the mouse in the appropriate direction. This creates some really tactile ‘micro’ interactions that are usually swallowed up in most games by encompassing button presses. Strangely, these were echoed a few months later by Retro Studios’ Metroid 3: Corruption where similar motion based interactions were carried out using Wii remote gestures. Anyway, it certainly adds a lot to the overall experience as you rummage through desks and nervously open doors one centimetre at a time for fear of what could be on the other side. Unfortunately, and contrary to what I’ve just said, the idea goes one step too far, treading on the toes of mêlée, turning what would otherwise be a simple mouse ‘click’ to swing your weapon, into a cumbersome ‘click, hold and swing left or right repeatedly’. It’s a nice idea and reflects the tactility of the other actions in the game but it doesn’t reflect the relative ease of doing it in reality and just proves too unwieldy. I understand the protagonist isn’t a walking muscle and the game doesn’t actively encourage combat, but if I can personally swing a hammer with intent and some degree of accuracy then so can Philip. The big wuss. However, this is a moot point as I later found a hidden option in a configuration file called ‘SimpleWeaponSwing’ (complete with ‘SimpleSwingInOptions’ option, bizarrely) allowing me to scrap this nonsense and swing with a single mouse click. Black Plague apparently does away with weapons and combat altogether. With this being the first of the two episodes its unclear where the story will go but it opens on an intriguing note and only becomes more intriguing as you descend deeper into the game. At numerous points Philip’s thoughts are displayed on screen giving some clear and authorial insight into the characters motivations and views on his ‘progress’. The various diaries, logs and scrawled notes left behind throughout the game are well written and do a great job of rationing out plot pieces and stoking your imagination which, to the game’s merit, will be continually used against you. You’ll hole up and hide, listening and looking into the gloom, hoping that what you just heard is merely the wind or settlement. You’ll stumble into new areas with mounting dread and apprehension. And that’s the thing, Overture is understated; it’s a slow burner that gets under your skin without relying on the cheap cat scares and excess of F.E.A.R. and Dead Space. It knows the power of a pregnant silence to the point that it’s frequently, stiflingly, horribly oppressive. There are a number of occasions in the game where you will say to yourself ‘No way. I’m not doing that. Nope.’ defiantly, followed shortly by ‘What am I doing? Oh god. Oh god.’. Albeit with more colourful language than that. The soundscape is appropriately sparse, occasionally punctuated by ambient flourishes but otherwise ominously quiet. What little voice work there is is fantastic and features one particularly brilliant performance. My only reservation with the sound design is that when an enemy is nearby tension music fades in, which ironically kills the tension, warning you that something hostile is lurking. Nevertheless, the tension music is suitably edgy and foreboding. Overture isn’t a particularly long game (clocking in around the 10 hour mark if played cautiously), but it left me wanting more despite being one of the most terrifying experiences I’ve ever had. It’s intense and horrible and had me reluctantly loading my save to start a session then later quitting with an audible sigh of relief. For a horror game that couldn’t be a bigger compliment. After completing this episode I cast about on a few forums to see if there was anything similar out there but found few first person games, if any, that integrated adventure game elements so prominently and so well. Apparently Black Plague is the better of the two games and even more dreadful so I suppose I should start toughening up like Philip. 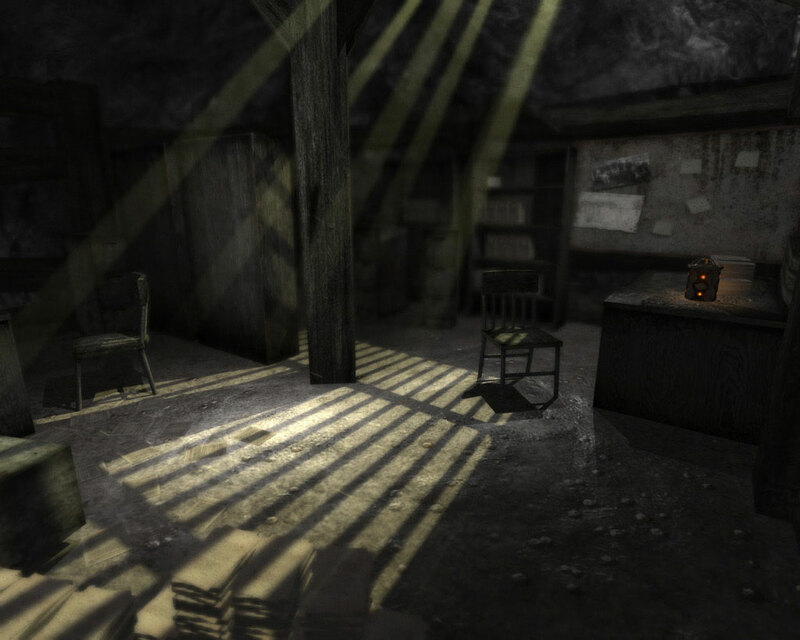 The demo can be downloaded here and the full Penumbra collection can be purchased directly from Frictional Games for under £15/$20. 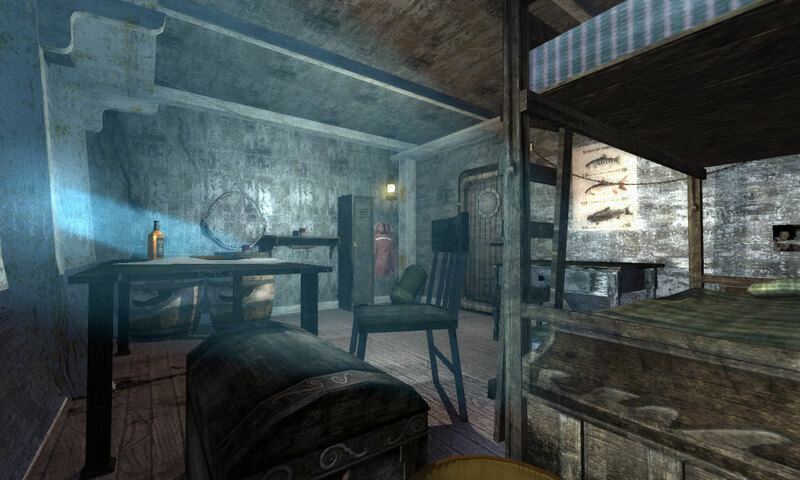 You know, I heard such great things about Penumbra, but I never played it. I think it’s available on GameTap, so I’ll have to check it out. Gregg, your descriptions make me think of Cryostasis, or some of the small Half Life 2 horror mods we’ve seen: Korsakovia comes to mind, as does Post Script. All focused more on exploration and puzzle solving than combat, and they all evoked creepy, lonely atmospheres effectively. Hmmm. This is a game I might have to try but I’m wary of poorly designed combat in adventure games. Knowing there is a fix in the config files for this is good. Thanks for the review, Gregg. Great stuff. 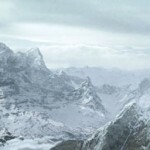 @Steerpike: I didn’t really like Korsakovia. It had this great narration that made me want to carry on and see where it would lead but in the end I got frustrated with the platforming and the abundance of those smoke creatures. I just got to a point where I didn’t feel compelled to overcome it. Interesting that you should mention those mods too because I’ve got Dear Esther, Radiator, Post-script and Nestlings lined up. I’d like to give Cryostasis a go but I’ve a feeling my computer isn’t up to it. There’s a demo which may be worth a look. @Scout: It depends what sort of player you are really. Despite my Thief background I simply didn’t like certain enemies being around while I was exploring certain areas so I spent some time taking the buggers out, one by one. I’ve heard many people avoided them all together so combat definitely isn’t a necessity, in fact, looking back it may have been more ‘fun’ to sneak around! Overture is a great game for the dark winter months and considering my limited time these days it was nice to settle into something that wasn’t going to take 30+ hours to complete. I want to play Black Plague now though. But I daren’t. Oh heavens, Gregg, I was far too cowardly to actually play Korsakovia. I played for like 30 minutes and wanted to cry for my Mommy. I simply recommended it to other, stronger souls, like Scout and Dobry. Cryostasis should work well on middlin’ machines, though I’ve had no luck at all getting it to run on Win7 x64. 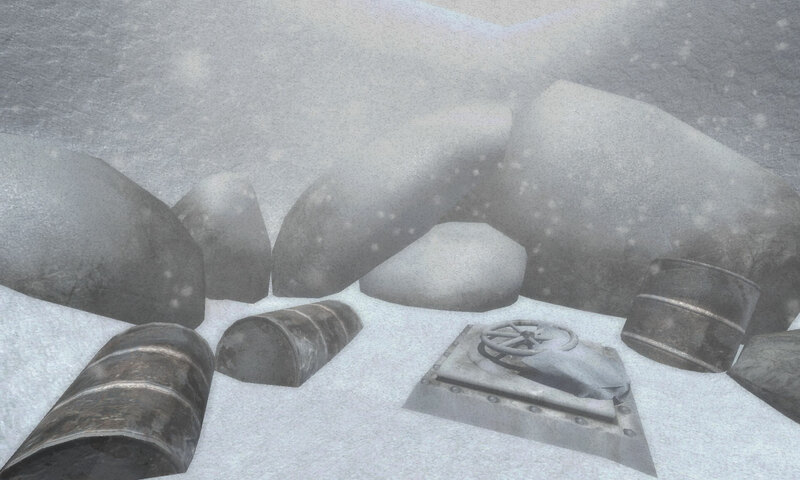 @Meho: I’ve just watched a video of Cryostasis and the combat does look very ‘personal’. It seemed to have a fair few cat scares in it as well which are great in moderation but after so many they start to wear me out! I remember playing Bioshock thinking that it would have been cool to have some sort of warmth mechanic to make the sea water seem more of a freezing cold hazard; nice to see Cryostasis does something like that. Yeah, cold mechanic is very present. So much, in fact that Cryostasis is not the game for impatient people. Don’t play it if you’re in a hurry to get anywhere. I bought all the Penumbra games this Christmas, but I still didn’t have the time to play any of them. But, every article I read makes them sound super-interesting, so I’ll have to get to it eventually. By all means keep dropping by. The Great Freeware Adventures list could definitely use other people’s perspectives. Also, we are currently having a slew of articles written by some of the most interesting indie game developers out there.